U.S. 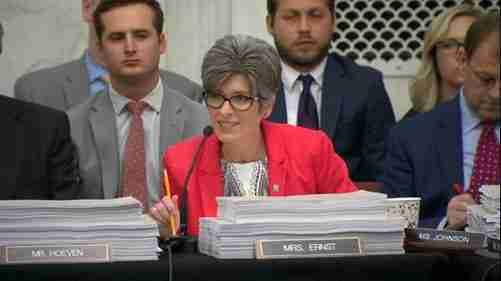 Senator Joni Ernst (R-IA), Chairman of the Senate Agriculture, Nutrition and Forestry Subcommittee on Rural Development and Energy, joined her fellow conferees at today’s public meeting of the 2018 Farm Bill Conference Committee. The conference committee—made up of nine senators and 47 House members—is tasked with reconciling differences between the House and Senate versions of the bill. The current Farm Bill expires at the end of September.